Carbon Neutral International Haulier continues on the road to energy efficiency with new lighting system. Hardings Transport Ltd is a Leicester-based haulage company, with a 55,000sq.ft. warehouse delivering thousands of items internationally. They needed a lighting system that illuminated their space efficiently to help them keep up with demand. 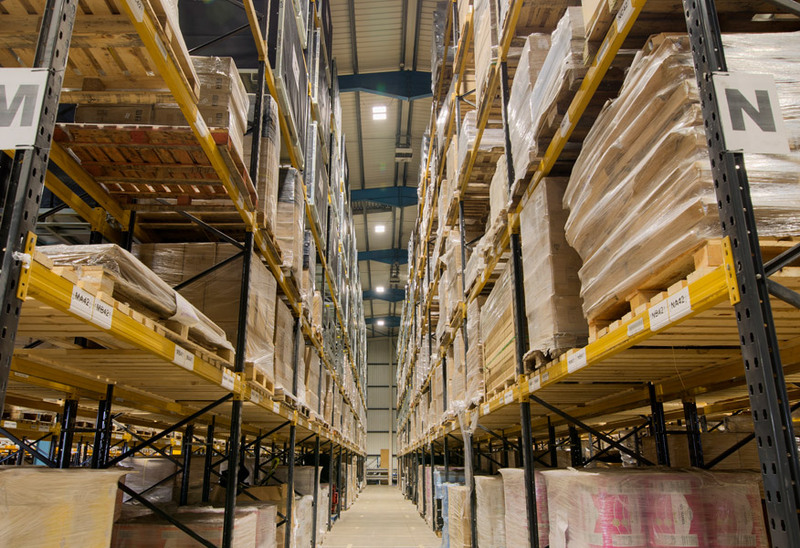 The Bardon Hill warehouse has recently seen a large-scale redesign, with the open plan space becoming full of high racking aisles. As a result, the previous fluorescent lighting system was insufficient for the employees working area. Employees use heavy machinery and often work during darker hours of the day, so the skylights and fluorescent fittings previously installed did not provide an adequately lit environment in which to operate. Under advice from James Coss at CEF, Tamlite Lighting was introduced to Hardings Transport to provide a solution to upgrade their lighting system. 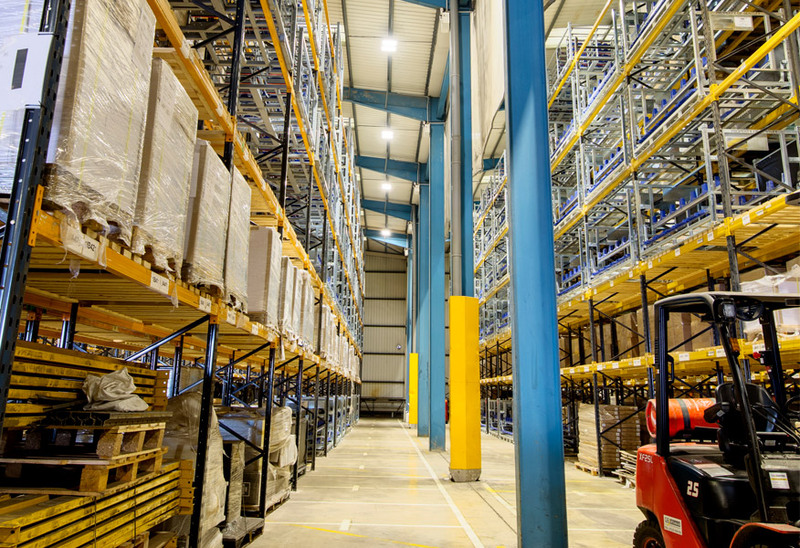 EXPO high-bay luminaires were supplied to give a more complete lighting system for the warehouse. The powerful LED solutions ensured that the ground was illuminated enough for workers to manoeuvre. A key outcome when specifying a new lighting system is an improvement in worker wellbeing. 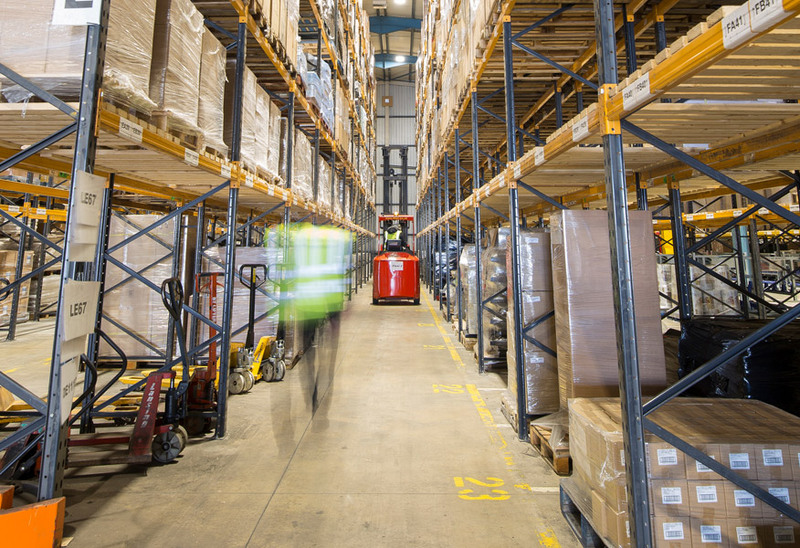 At Hardings, by reducing shadowing and dark spots throughout the warehouse, as well as minimising visible glare, staff wellbeing is significantly improved. An improvement in wellbeing leads to an increase in focus and productivity, reducing the likelihood of accidents and increasing worker output. The switch to LED provided a range of benefits as well as an improved light output. 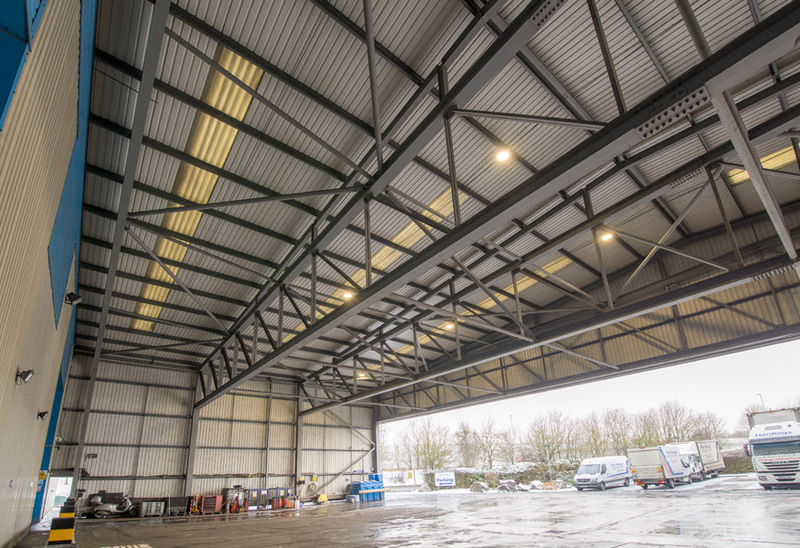 The initial outlay of the LED products was similar to fluorescent options, but the assurance of long-lasting light fittings, low to zero maintenance and a 5-year guarantee gave Joe Harding, Purchasing Manager at Hardings Transport, the confidence to invest in the LED solution from Tamlite. The warehouse lighting was the primary change, but MODLED LG solutions were also provided for the offices. 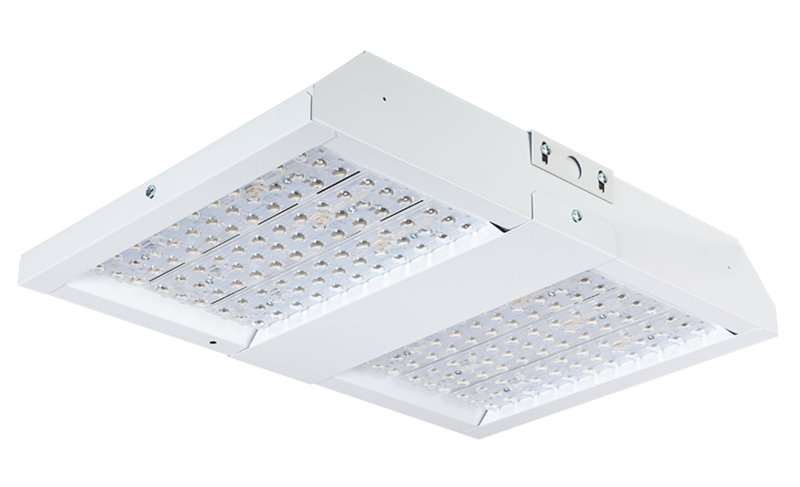 These low glare fixtures provide the offices with comfortable lighting, and their lightweight structure made them quick and easy to install. NIMROD bulkheads were also supplied, as lower mounting luminaires for the warehouse and canopy spaces. 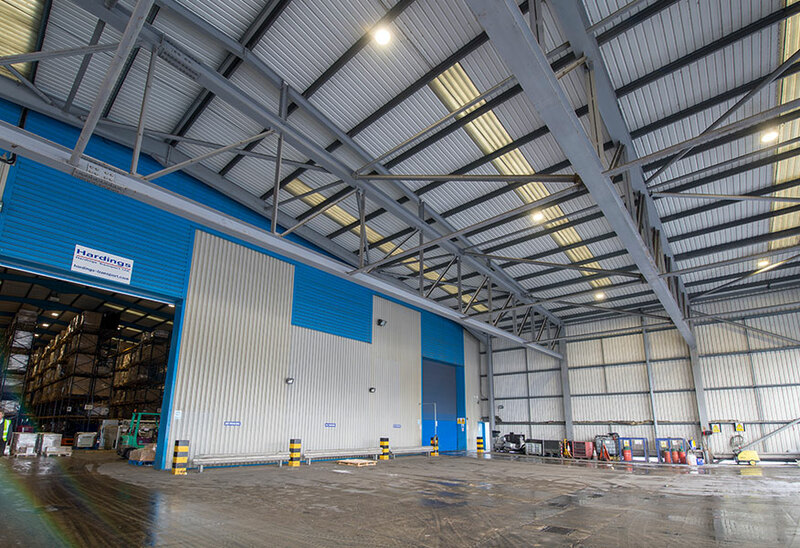 The new LED fittings supplied throughout the site will provide a total payback on costs with energy savings. Hardings Transport should expect to see this payback within 3.5 years! “On the whole we are happy with the installation, and there are certainly no complaints from those on the warehouse floor,” said Joe.